Hard-to-please Aitor Karanka has demanded Middlesbrough raise their game at leaders Leicester on Saturday. His side beat Charlton 1-0 at the Riverside to take their run to five wins and a draw from their last six league games – a run which includes five clean sheets as the Teessiders closed in on play-off places with a haul of 16 points from the last 18. 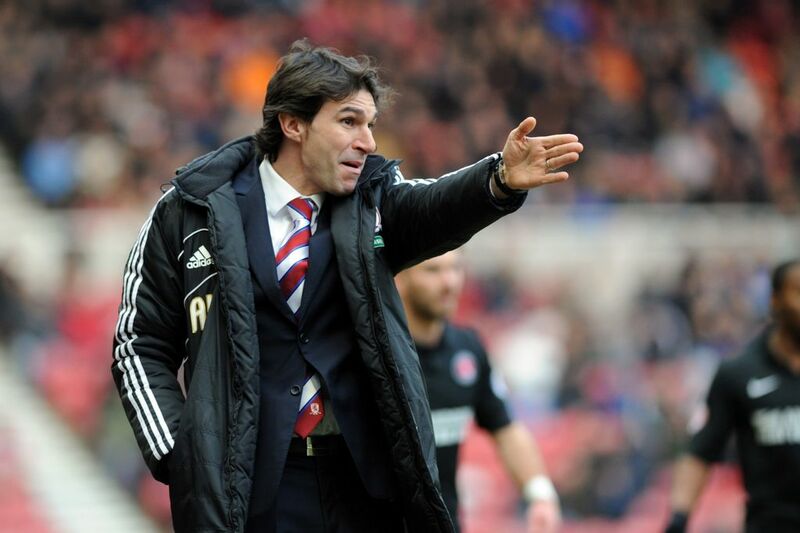 However, a nervous win over struggling Charlton was far from a classic - and Karanka’s team made very hard work of it. Boro went ahead with a first-half Emmanuel Ledesma strike but only just hung on to victory in a low-key scrap - and needed a stoppage time wonder save from on-loan goalkeeper Shay Given to preserve the three points at the death. 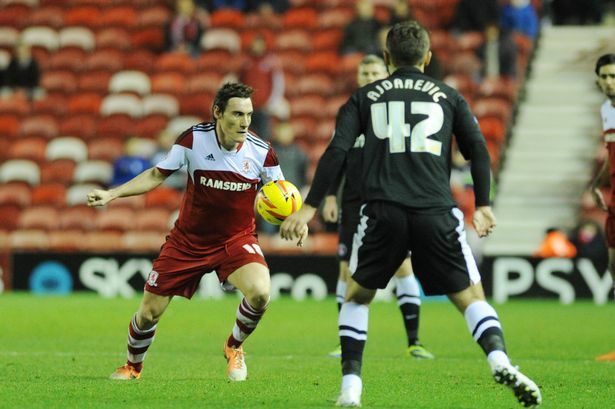 Karanka warned: “If we play at Leicester like that we will lose for sure. “It was a game where you are happy to hear the referee’s whistle but until then you’re suffering until the very last second. “It was a very difficult game and we didn’t play well – but it’s the kind of game we’ve lost in the past. “It was another three points and another clean sheet so I must be satisfied – but it was not a good game. “We did not play as well as we can or as well as we should so I was not happy at that. “We did not move the ball quickly enough. Our defenders passed the ball very slowly and the players in front didn’t have movement and for this I wasn’t happy. However, the boss was happy to ‘win ugly’. Both sides missed early chances as Kermogant screwed wide for Charlton, then Marvin Emnes broke clear but fired into the side netting. Boro took the lead on 16 minutes as in-form Ledesma fired in a speculative 30-yard effort which bounced awkwardly and skipped over debutant diving goalkeeper Yohann Thuram, cousin of France World Cup winning midfielder. Just before the break Boro went close again but Mustapha Carayol’s low shot was saved by the goalkeeper’s feet then when he got to the rebound which was well saved. It was scrappy after the break and Charlton carved out chances. First Wood fired wide after a scramble, then on 70 minutes Church headed home a Kermogant cross but it was ruled out for a foul on goalkeeper Given. In a tetchy spell there was a flurry of bookings, then on 84 minutes Charlton’s Rhys Wiggins was sent off for a crunching tackle on Dean Whitehead. Boro should have sealed it at the death as Lukas Jutkiewicz squared in the box for Richie Smallwood but his close range shot was superbly saved. Then, with almost the last kick of the game, there was a scramble in the Boro box and when Stephens slammed in a 10-yard piledriver Given made an amazing reflex save.